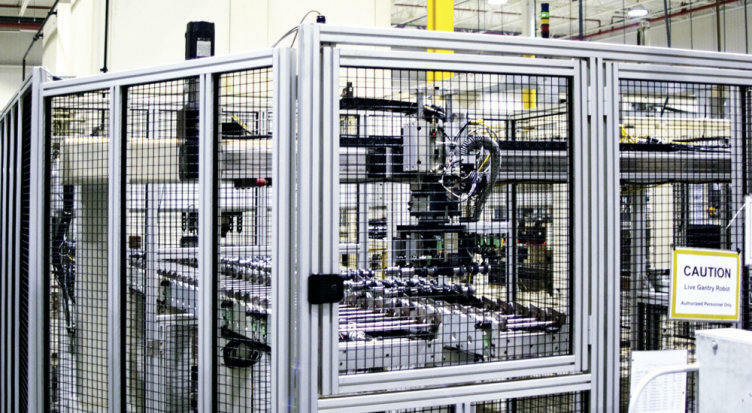 A fixed guard is part of a machine that guarantees protection by means of a physical barrier. The guard may consist of a safety fence, barrier, covers or similar. It may be welded, glued or attached using fixing systems (bolts, rivets etc.). Fixed guards make it more difficult to access the machine physically. In accordance with the provisions of the Machinery Directive, fixed guards must be fixed by systems that can be opened or removed only with tools. Their fixing systems must remain attached to the guards or to the machinery when the guards are removed. Where possible, guards must be incapable of remaining in place without their fixings. If guards are neither possible nor sensible, control technology solutions are used. Should a person approach a danger source, these will shut the machine down or bring the machine to a safe state by other means. All that remains is indicative safety technology: In this case, the residual dangers are indicated in the operating manual or on the machine itself.